3-4 Hours hiking to Gergeti Trinity Church & Sabertse Valley. 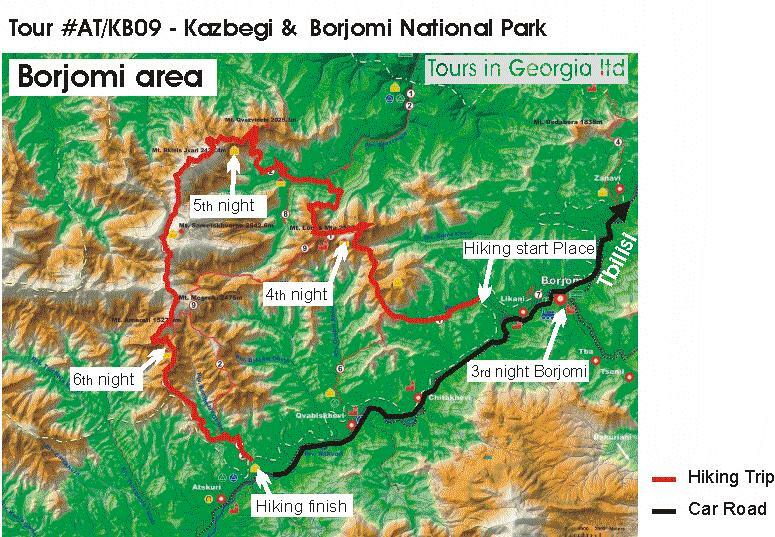 Journey on Georgian Military Highway – duration 4-5 hours with excursions. 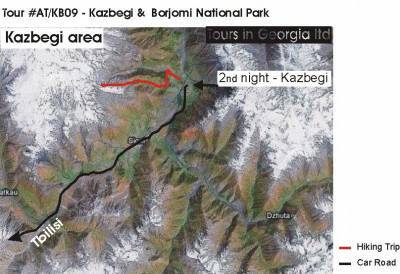 Kazbegi – Gori – Borjomi (Borjomi-Kharagauli National Park). 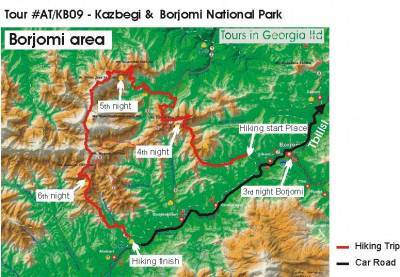 4 days hiking (walking) in Borjomi – Kharagauli National Park. Likani – Mt. Lomis Mta (2187M). Spending the night in Lomis Mta shelter for Tourists. From Mt. Lomis Mta we will go down to Kharagauli side and then go to up to the mt. Rkinis Jvari, spending night near Ager’s hut. From MT. RkinIS Jvari (2440 M) we will go near Sameckhvao mountain, and rise up to Amarati Mountain (1527 M). Spendin the night – in Amarati hut. During the journey the highest eminence is 2440 m.